Can you believe that we as human beings can help other creatures to save their world? Of course, we are so good at destroying our own Earth that it is hard to accept that we are capable to do such a generous deed. However, in the world of the WARCRAFT, anything unthinkable is believable. Since the day Gul’dan took over Azeroth, the Orcish people have seen nothing but endless violence, death, and being colonised. Now, Durothan finds only one way to defeat Gul’dan, save his family and his people to unite with the kingdom of the King Lianne. In the meantime, Medivh, Anduin Lothar, and a half human half orcish, Girona, join the force to decide the fate of two worlds that had to stand face to face. The opening scene of WARCRAFT: THE BEGINNING is entertaining and quite amusing enough to ensure that you will be too busy trying to grasp every scene. Soon you find out that there is an open portal that allows creatures from an alternate world to enter the humans’ one to collapse it. The orcish, despite looking so strong and undefeatable are still weak to face the strong enemy. Also, a portal that was opened from the human’s world means that the real danger comes not from the unknown world, but from someone who the entire kingdom always thought could have relied on. As the chaos continues, a significant amount of action scenes and visually stunning sceneries guarantee the complete success of the movie night so much so that you, I am quite sure, will leave the theater with a great feeling of satisfaction. 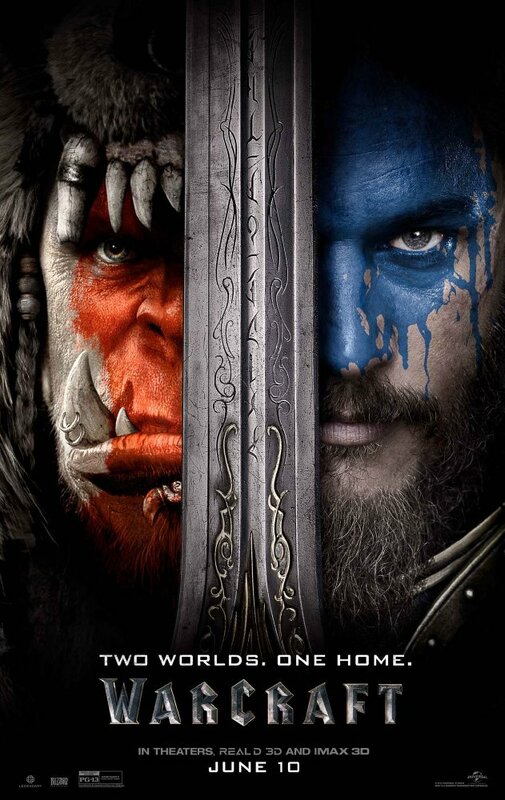 WARCRAFT with the help of CGI takes the movie to a new level making it worthwhile watching. While there are not many movies we expect will become a masterpiece, Duncan Jones’ achievement won’t be forgotten. From the technical point of view, WARCRAFT: THE BEGINNING wins at every stage; be it visual effects or never-ending action scenes that this movie is mainly based on. However, it also has an interesting concept that at the end of the day with the help of everyone a strong enemy can be defeated. Maybe not completely, but enough to secure the future of humanity. In the end, WARCRAFT: THE BEGINNING is a great fantasy film that you will be very happy it was ever made, and will hopefully have more sequels ahead. And why not, if it deserves to be a hit in the biggest theaters near you.